We've had a busy year here at Modative and it's time to add to our team. If this looks like the position for you, please apply. If you think someone you know may be interested, please pass it along. You'll be working under a project manager on design and construction documents (using ArchiCAD) on a few modern residential projects in the Los Angeles Area. You will gain extensive hands-on experience in what it takes to put a modern building together. This is a full-time position (40 hours/week), but is temporary, lasting about six months. If the project load in our office was to remain the same, this position could become a permanent position. 1. Must have ArchiCAD (not AutoCAD) experience and be ready to be productive using this software from day one. Our office is currently using ArchiCAD 15 & 16. 3. One to three years of professional experience in the architecture field using ArchiCAD for construction documents. 4. Only persons currently residing in and able to legally work in the US will be considered. No international applicants for this position please. This is a a very focused position. Applications not meeting the outlined criteria will be disregarded. Since this position is temporary and needs to be filled quickly, preference will be given candidates currently residing in the Los Angeles area or those able to relocate very quickly and on a short-term basis. 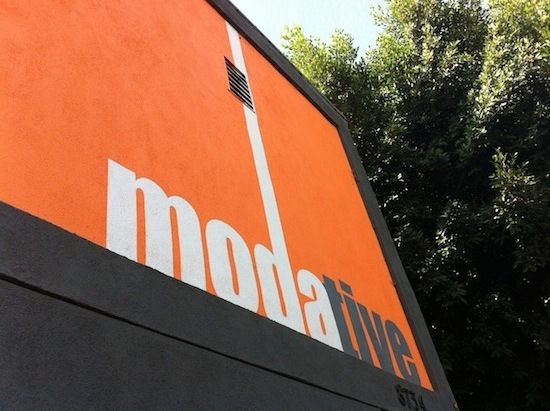 Send us a resume, portfolio and whatever else makes you look good to info@modative.com . We're too busy at this time to take calls on this position. Please keep your email attachment sizes reasonable (under 5 MB or send us a link to download). To avoid spam, and test of your ability to follow directions, please include "Modative Junior Position" in the subject line. Applications will be accepted until 11:59pm PST on Monday, 08.27.12. Applicants must be available for an in-person interview on either 08.30.12, 08.31.12 or 09.04.12. The job will start the week of 09.10.12. Click here to see this job posting on our site. Last week we had an interesting question posted to our Ask an Architect feature about the difficulty in finding an architecture job. I thought this Q & A would be helpful to other architecture job seekers out there, especially the less experienced, so here is a reposting of that question and answer. How hard, on a scale of 1-10, is it to get a job right after graduating with a Bachelors in Architecture? Good question. A lot of new architecture graduates and young professionals are facing this same issue right now. I wish I had better news, but I don't. Things are tough right now for architecture job seekers. If you want a scale, I would say an 8 in terms of difficulty. Many firms are letting people go or on hiring freeze. However, I'm an optimist, so lets look at some positives given your situation. Because you are less experienced, you cost less to a potential employer. This means that hiring you is less of a financial commitment versus hiring a licensed architect or someone with 5+ years of experience. Now is a bad time to enter the job market, but things could be worse. You could have just been laid off as an experienced architect with kids, a mortgage, etc. Hopefully you are light on expenses and responsibilities. This gives you flexibility. You could work in another city or overseas where the economy may be better. You may also consider going for a masters, maybe not even in architecture (I recommend an MBA). Although many firms are hesitating to hire because of uncertainty, many still have work that needs to be done. You could offer yourself up for some part time work. Tell them no commitment, just by the hour. This is a great way to get in. Before you know it, they could get busier, and they'll turn to you first for a full time job. Even less of a commitment for a firm would be to offer yourself as a freelancer. You just need your own computer, software, and a place to work (probably home). Many firms love to outsource because they avoid the commitment and costs of an employee, but still have a place to get work done when they get busy. This may not be ideal for you, but given these hard times, it is a viable option that many people don't consider. Recent graduates often have better computer skills than professionals just a few years older. Use this to your advantage. Maybe you even have computer skills outside of architecture, like web design. Many firms utilize down time to redesign websites or reorganize themselves. Show that you can do more than just CAD. Hopefully this gives you a glimmer of hope. Also keep checking back on our web site as we'll be releasing a guide to creative resumes in the coming months. Good luck out there.